Today is World Mental Health Day and we’re pledging to change the way we think and act about mental health in the workplace. 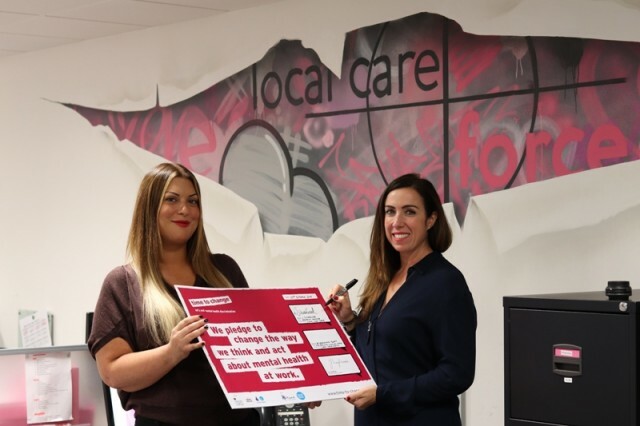 We’ve signed an Employer Pledge with Time to Change, which supports people to open up to mental health problems. By signing, we are committing to change the way we all think and act about mental health in the workplace. Part of this is our multi-award nominated initiative – Address Your Stress – developed specifically to help our staff spot the signs of stress in themselves and others, so they are better equipped to manage it and support colleagues. You can read some coverage about our pledge here.